The weather promises to be brisk but Michelle’s Lodge will be inviting and the trails groomed and packed for the 28th annual ski junket hosted by the Elcho Cross-Country Ski Club. The event will take place on Saturday, 11 a.m. to 2 p.m. at the Moccasin Ski Trail, located west of Elcho off Moccasin Lake Road. 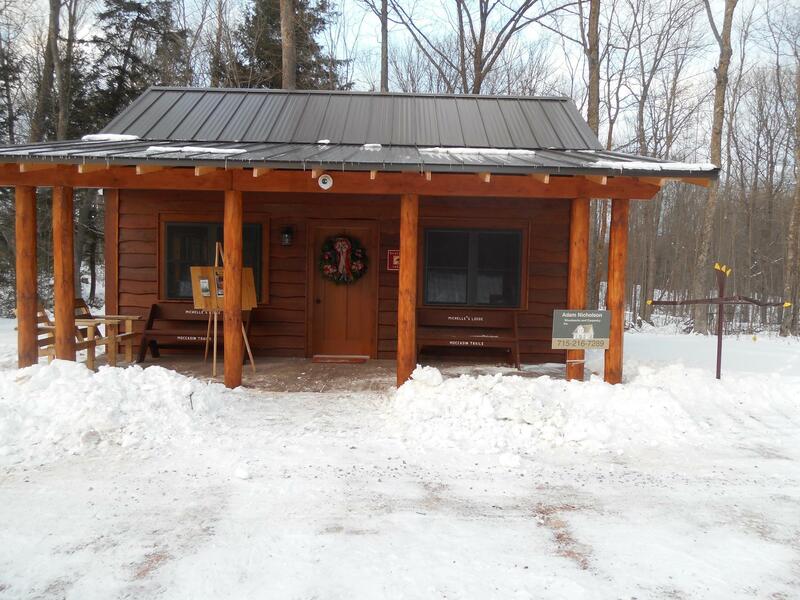 Michelle’s Lodge, located at the trailhead, will have the fireplace roaring and there will be plenty of cookies and hot chocolate available. Michelle's Lodge will be warm and inviting for visitors to the Elcho Cross-Country Ski Club's annual junket on Saturday. Representatives from Mel’s Trading Post in Rhinelander will also be on hand with the latest in snowshoe and cross-country ski gear for those looking to try something new or maybe upgrade existing equipment. The event is open to the public at no charge. The volunteer groomers at Moccasin have been doing their best to create and maintain a packed and tracked ski trail, and their efforts are getting a bit of a boost by the conclusion of logging on some sections of the trail and a bit of new snow. The snowshoe trail has been packed as well, in excellent shape for hikers and walkers as well. Check the ski club’s Facebook page for up-to-date conditions.